Luckily, Lake Lure & the Blue Ridge Foothills isn’t just a place with a few pet-friendly destinations. From an impressive range of meandering mountain trails to a network of rushing rivers and cool creeks, plus a long list of parks, sidewalk cafes and pet-friendly lodging options, the entire area is a doggy dream destination. 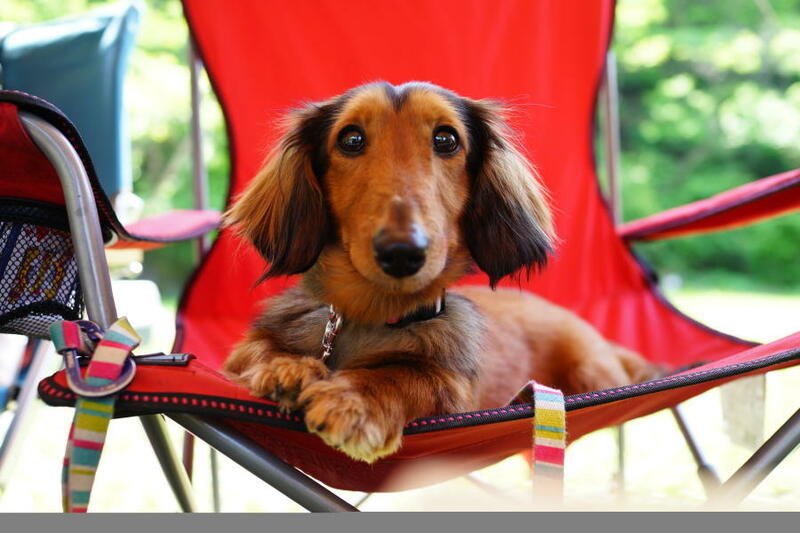 4 Paws Kingdom Campground – The first and only dog-dedicated campground, 4 Paws is a true doggie kingdom! Located less than 15 minutes from the quaint must-visit town of Rutherfordton. The campground and dog retreat is simply the perfect answer to a vacation getaway designed specifically with canine and companion in mind. Tail-wagging amenities include a fenced-in swimming pond, multiple off-leash plays, an agility park, creek, doggie bathhouse with grooming station and more. Rent one of their cabins or RVs or bring your own. Cottages, Cabins & Vacation Rentals - From rustic woodland retreats to well-appointed homes, there are numerous options for renting a pet-friendly cabin or cottage throughout the area. Pine Gables Cabins – Wondering how to wrap all your requirements into one vacation? Your penchant for history, your desire for a romantic getaway and the fact that you want to bring the dog along? Look no further than Pine Gables. Located on the grounds of what was one of the area’s first stagecoach inns and its first official post office, the owners have built several rustic cabins on the historic property, many of which are pet-friendly. If you’re traveling with a water-loving dog, these cabins are a short walk down the path to Lake Lure where a refreshing swim, fishing, canoes, and kayaks await. The cabins are ideally located in relation to the rest of the area. They’re close to restaurants, the Lake Lure beach, the Lake Lure Flowering Bridge, boat tours and the Welcome Center. The 1927 Lake Lure Inn & Spa – Class meets canine. Upon entering the elegant lobby of this historic hotel, you&apos;re apt to think, "There is no way this place is dog-friendly." But, the owners are huge pet lovers and warmly open their beautiful Inn to your four-legged children. 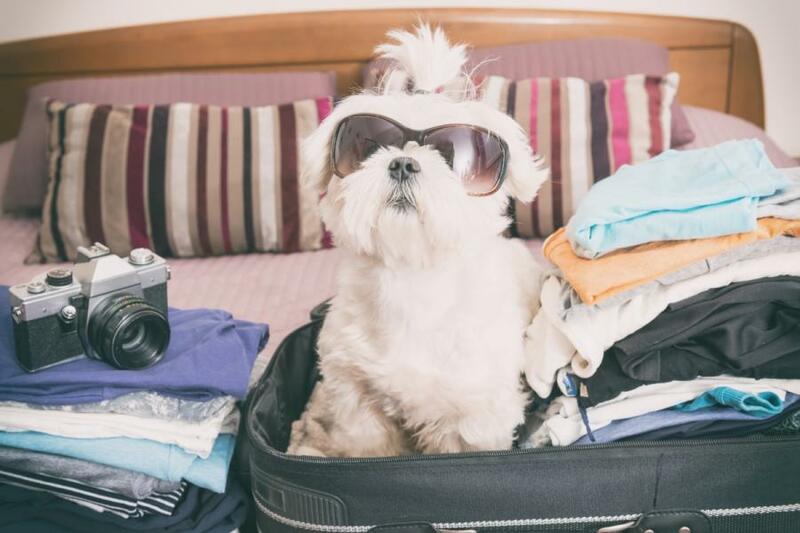 After check-in, dogs receive a complimentary welcome bag in the room. At the Inn, kick back and relax with a craft beer or glass of wine in one of the rocking chairs on the Mediterranean style front porch. Take in the views of Rumbling Bald Mountain as your dog catches a nap on the cool concrete floor. 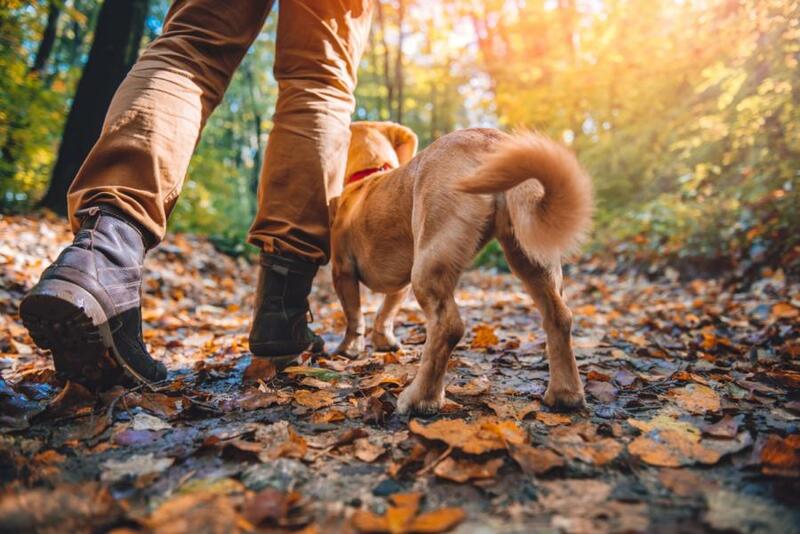 If you&apos;re looking to explore the area, the hotel is ideally situated near plenty of things to do with your canine companion including, hiking, swimming, and paddle boarding. 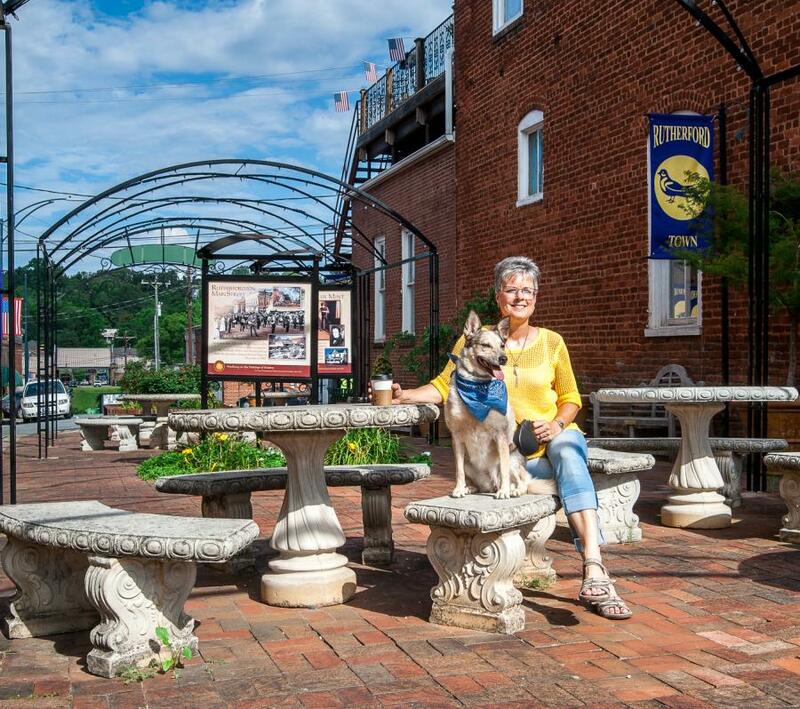 Main Street Safari and Historic Downtown Walking Tour, Rutherfordton – For families and groups traveling with kids and dogs, this is a favorite activity for the whole group. Part trail, part urban adventure, this mini pedestrian journey combines history with nature and presents it against the backdrop of Rutherfordton, North Carolina’s 2016 Small Town of the Year. The trail is jam-packed with activities that include games, tree climbing, gold hunting and wandering through a Civil War cemetery. *Leash required. Pet potty bags are available along Main Street. The Thermal Belt Rail Trail – As a converted railroad track, this 16-mile roundtrip offers a challenging length, yet mild terrain. The scenery ranges from expansive fields to hilly gorges, passing by sites like Bechtler Historic Mint Park, which is a perfect spot for a picnic. This trail is sure to satisfy all rail-trail seekers and curious canines! *Moderate to easy. *Leash recommended in most areas due to proximity to road and downtown areas. Located on the campus of Isothermal Community College, the ICC Trail System was built entirely by local volunteers. Open field areas and sidewalk sections join some of the wooded loops and even features a bamboo grove with 3-5-inch-wide canes. If you’re in a hurry, but still want to get some recreation time in with your dog, this trail is great for a quick hike, run or exploratory walk with the family. *Moderate to easy. *Leash recommended. Directly across the street from the 1927 Lake Lure Inn & Spa, jump on the Town Center Pedestrian Walkway & Boardwalk to take in a scenic and leisurely stroll with your dog. Then, make your way over to Morse Park and check out the lakeside trails and stellar mountain views. *Moderate to easy. Leash required. For a moderate to easy leash-free park experience, visit Dittmer-Watts Nature Trail Park in Lake Lure. For the athlete, the trail runner and those dogs that simply love to romp ‘leash-free’ through the woods, the trails in Buffalo Creek Park in Lake Lure will have your dog worn out and ready for an afternoon nap. This 3.5mile loop trail, which also serves as a challenging mountain bike trail, will have your dog thinking he’s on a wild adventure in search of his prey. *Moderate to strenuous. No leash required, but be aware of mountain bikers. If all that exploration has your dog searching for some water refreshment, rent a canoe, paddleboard, or pontoon boat from Lake Lure Adventure Company and show yourself and your dog the beautiful sights by way of water. 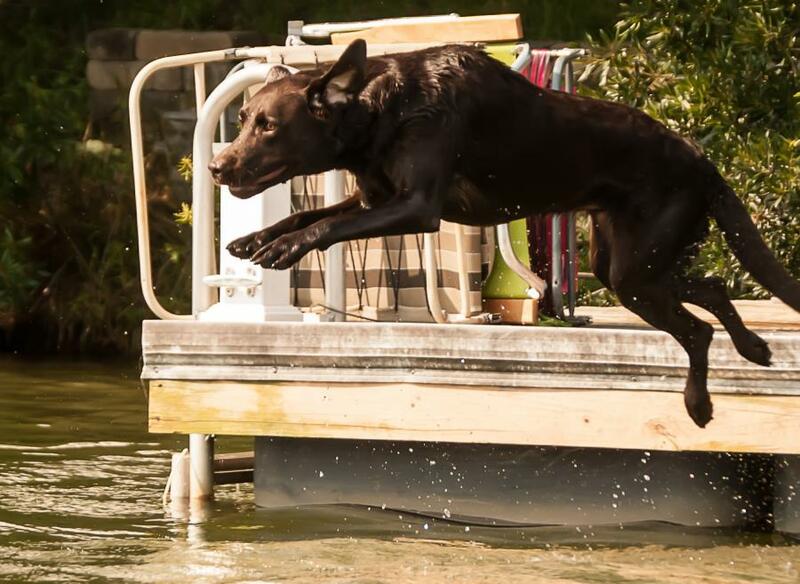 Let the dog cool off with a swim in one of the lake’s many coves. *Doggie life vest recommended. The Rocky Broad Riverwalk & Pocket Park – Tucked behind the shops and cafes in Chimney Rock Village you’ll discover your dog’s nature nirvana. Flanked by a beautiful woodland trail, experience a wide, rolling river with deep pools of fresh mountain water, tumbling over giant granite rocks and boulders. On a hot day, the Riverwalk calls man, child, and pooch to cool off in this beautiful river that feeds into Lake Lure. *No leash required. Chimney Rock at Chimney Rock State Park – From the moment they see your dog’s head hanging out the side car window, the staff of Chimney Rock at Chimney Rock State Park greets your furry friends with open arms. Leashed dogs are allowed on all of the trails and buildings except for the Sky Lounge. One “must-do” doggie trail is the Hickory Nut Falls Trail. The reward at the end is the ideal place for your dog to cool off and socialize with other dogs in the natural pool of water at the bottom of the falls. It’s a beautiful setting for human and canine! If you and your pup are shoppers, well-behaved and leashed dogs are welcome inside Bubba O’Leary’s General Store & Outfitters in Chimney Rock Village. This Western North Carolina mainstay is named after the owner’s four-legged mascot and company logo, Bubba the yellow Labrador! So, if you’re into telling the world about your love of dogs through your apparel, this is the place for you. In addition to an incredible collection of quality casual clothing for the humans, pick up a swanky new dog collar, sturdy leash, portable dog bowl, and even some dog treats for your handsome hound. If you want to keep your pet squeaky clean and smelling vacation ready, Rutherford Pet Supply in Spindale is a great pit stop for picking up pet supplies. Afterward, stop by Paws and Purrs Barkery in Rutherfordton to treat your dog to a desert extravaganza. Featuring organic and gourmet treats, chews, beds, bowls, collars, leashes, apparel and toys, your dog will be so happy he will break into spontaneous face-licking to show his appreciation. Take the Dog to Dinner – Why not? Following a full itinerary of pet-friendly activities, everyone will be looking for some belly-filling, good food. Take the dog along to any one of these pet-friendly outdoor dining options. A terrific lunchtime spot to cool off and fill up while enjoying the views of Chimney Rock is the Old Rock Café in Chimney Rock Village. The back deck is not just pet-friendly but is an all-around pet-happy spot with plenty of shade and the Rocky Broad River right at the doorstep. From mixed breeds to pure breeds, Medina’s Village Bistro welcomes them all with its new outdoor patio that will keep humans and dogs delightfully distracted by all the beauty of the surrounding mountains and the vibe of Chimney Rock Village. Open daily for breakfast, lunch, and dinner, be sure to ask about the new ‘doggies only’ menu. Medina’s is located across the street from the entrance to Chimney Rock State Park and The Gathering Place Outdoor Amphitheater, which holds seasonal concerts and is also pet-friendly. For a low-maintenance day of hanging out in the water, the Geneva Riverside in Lake Lure is a combined people & puppy hotspot. Stay in your swimsuit all day, take a dip in the pool, or take the dog down to the river, located just a few steps from the pool and Tiki Bar. Your dog and the kids in the group will love the casual, no-fuss menu and laid back atmosphere. And for dessert, stop by Scoop in Lake Lure where dogs get free ice cream with a dog treat on top every day. The Copper Penny is the quintessential people watching spot for you and your faithful friend. Grab a spot on the patio for either lunch or dinner and take in the active Main Street scene that makes up the charming small town of Forest City. Some of our other favorite places to eat with the dog include Barley’s Taproom in Spindale, Sweet Frog in Forest City, Main Street Coffee & Ice Cream, and Bee Happy Sweets & Treats, both in Rutherfordton. By any standard of measure, Lake Lure & the Blue Ridge Foothills has what it takes to ramp up your dog’s quality of life – ample grass to sniff and miles of trails to explore, easy walkability in our small towns and Main Streets, plenty of gorgeous scenery and abundant sunshine, and a long list of dog-welcoming establishments. As you see, Lake Lure & the Blue Ridge Foothills is well equipped for hosting a dog’s happiest life! Need help deciding what to do and where to go? 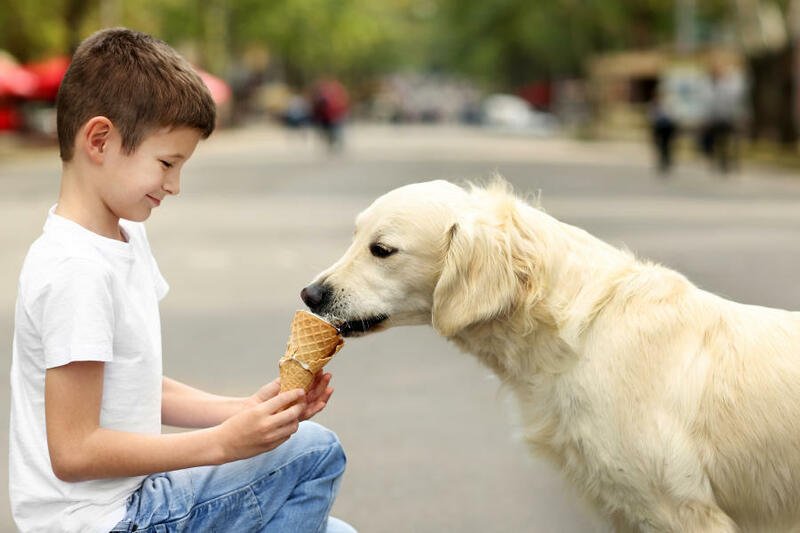 We&apos;ve got you covered in our fun filled Pet Itinerary. Click here to download a printable version.